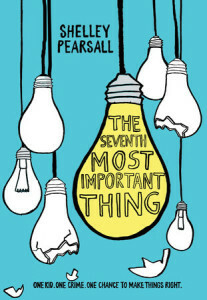 Shelley Pearsall is the author of six books for middle grade and teen readers. Her inspiring and thought-provoking novels are used in classrooms nationwide, and she is a popular school speaker. Prior to becoming a full-time author, Shelley was a teacher in the public schools, as well as working in the education departments of several parks and history museums where she created museum theater programs. She has a B.A. from The College of Wooster and M.Ed. from John Carroll University. 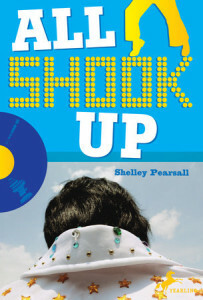 Shelley’s first book, Trouble Don’t Last, was published in 2002 and received the Scott O’Dell Award for Historical Fiction. All of the Above and The Seventh Most Important Thing are ALA Notable Books. All six of Shelley’s books have appeared on numerous state reading award lists. As an author, Shelley is committed to bringing history to life for readers in engaging and compelling ways. Since childhood, she has written stories with diverse characters and voices because she believes in the possibilities of books to build bridges and start conversations. Frequently, her novels feature themes of personal courage and overcoming adversity in unexpected and surprising ways. Today, Shelley lives in the beautiful Cuyahoga Valley National Park in Ohio with her British husband, Mike, and their shelter cat named Charlie. When Shelley isn’t writing or visiting schools, Shelley and Mike love to travel the world in search of new stories and adventures. One Book One Day challenges intermediate and middle schools to read an entire novel together in one day. Imagine administrators, cafeteria staff, teachers, students—all reading, discussing, and enjoying one book together. Learn more here!